After years as a patrol cop, detective Jocelyn Rush is almost immune to the depravity that stalks the meaner streets of Philadelphia... almost. After saving her three-year-old daughter from a carjacking, she ends up in the emergency room -- and discovers that Anita, a former prostitute and acquaintance from her old days on the beat, has been hideously mutilated in a brutal assault. With the help of her partner and Philadelphia's Special Victims Unit, Jocelyn discovers that Anita isn't the first victim of these attacks and it looks like she won't be the last. When the violence hits closer to home, Jocelyn knows she must do whatever it takes to stop the sadistic attacker -- even if it means confronting a terrible secret from her painful past. 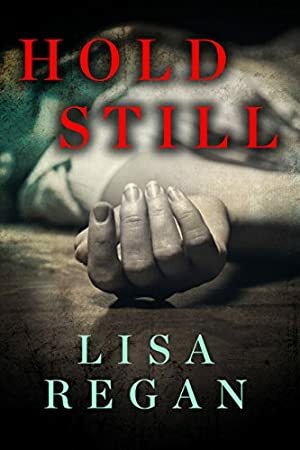 Award-wining author Lisa Regan's Hold Still is a captivating thriller that crackles with intensity. Revised edition: This edition of Hold Still includes editorial revisions. Log In to track Lisa Regan on eReaderIQ. to be notified each time the price drops on any book by Lisa Regan. to stop tracking Lisa Regan. We started tracking this book on October 13, 2014. The price of this book has changed 38 times in the past 1,650 days. The current price of this book is $5.49 last checked 3 hours ago. The lowest price to date was $0.99 last reached on July 1, 2017. The highest price to date was $5.49 last reached on February 10, 2019. This book has been $5.49 12 times since we started tracking it. We last verified the price of this book about 3 hours ago. At that time, the price was $5.49. This price is subject to change. The price displayed on the Amazon.com website at the time of purchase is the price you will pay for this book. Please confirm the price before making any purchases.